My guest post at the Short Fiction Writer’s Guild. I am not gifted as such an artist. For more than a decade I tried to write standalone short stories only to find myself building them into novels. I never had the self-control to keep things short and to the point. The biggest thing that got in my way was the worldbuilding. I wanted to create, and convey to the reader, the world into which I was throwing them. It wasn’t until I created the world of Zaria and my Griffins and Gunpowder universe that I came to see short stories as something that I could use as worldbuilding in their own right. Guild of Dreams is a fitting name for this group for several reasons — not least because the original meaning of a guild was a group of tradespeople with similar or related skills. Two purposes of a guild have particular application to this group: brotherhood and standards of craft. Writing is a solitary craft, by necessity. But we need interaction, not only as a source for our stories, but occasionally we need the company — at least virtual — of other writers; someone to share the common experiences of writing; people to bounce ideas off of; people to give advice about story, grammar, promotion and finding an audience. …Sam Colt made them equal. This is a phrase spawned by the Colt firearms company’s famous revolvers (and later other types of weapons). Colt firearms were, for a long time, the standard issue sidearm in the United States. Everyone had one. But eventually, competition evolved and now Colt is just another firearms manufacturer. 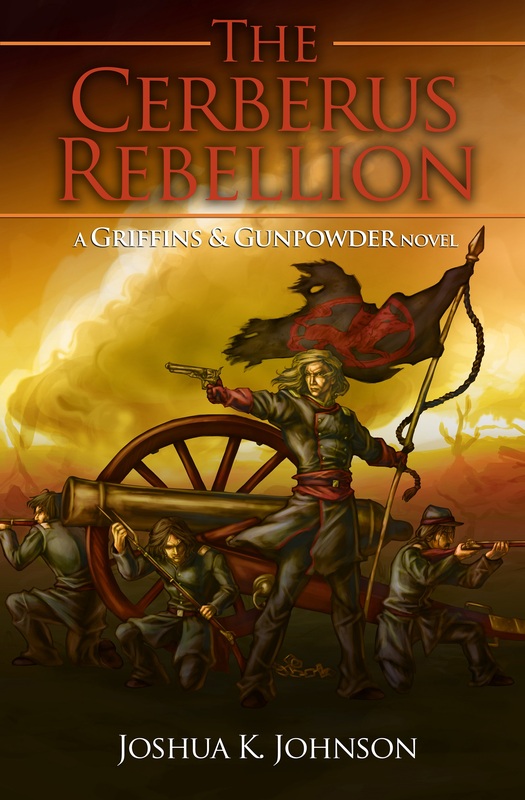 This post was actually spawned by a conversation over on MythicScribes.com going over the plausibility of one author’s world in relation to firearms and gunpowder. In his world, only the single dominant nation has advanced their knowledge of firearms; there are magic users and brutes capable of taking fire from these small arms, but no one has developed competing technology. My point was that a nation that maintained such a position of dominance for too long would quickly cause their enemies to band together and bring down the juggernaut. Since the formation of governments and nations, there has been an ever evolving arms race. Offensive weapons are developed to counter defensive weapons; defensive weapons are developed to counter the new offensive weapons, and so on. A fantasy world would be no different. 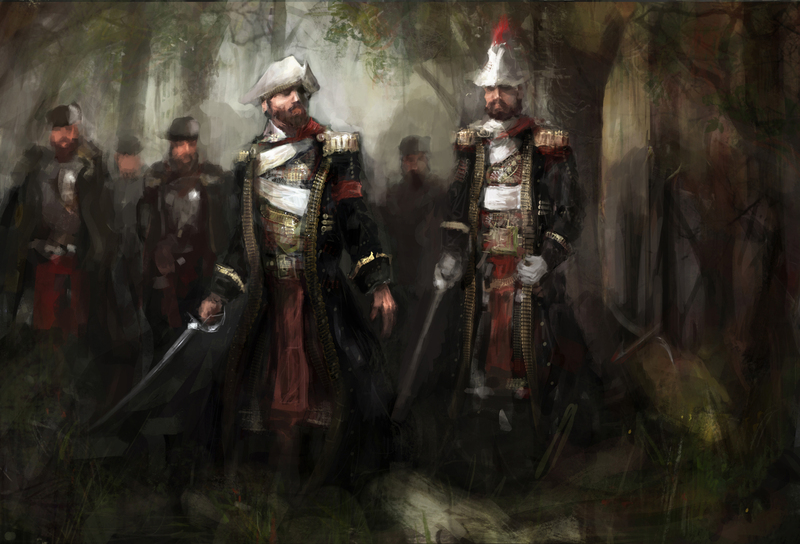 Being the first nation to develop a particular weapon, like muskets that are useful in a massed infantry setting or rifling, would give them the advantage in developing newer technology, but in all likelihood their dominance would not be absolute nor would it be enduring. Writing an arms race can be an exciting plot point, especially if you’re writing a series. Having one nation start at a noted disadvantage but slowly regain parity with their enemy can drive action. How will your hero defeat an enemy that is significantly better equipped than his? How will your protagonist react when his army, technologically superior to that of his enemy, is ordered to slaughter what equates to a herd of helpless sheep? Another part of the arms race to keep in mind is the fact that two nations at war will pour money into research and development at a greater rate than nations at peace. The nations engaged in war, if it goes long enough, will slowly develop an advantage over the other nations of the world. A wonderful example of this is from one of my favorite Sci-Fi Series, the Honor Harrington series by David Weber. In this series, the Star Kingdom of Manticore and the Republic of Haven start at roughly an equivalent technological position as the rest of the universe. Over the course of their decade+ war, however, they improve technology, develop new weapons and tactics that put them so far ahead of even the largest star nation that they are able to defeat a much larger force of ships from nations that were in a state of peace and had no drive to develop newer weapons and technology. Eventually, that technology lead would dissipate and today, I’ll go over just a few ways that a technology could fall into the hands of enemies or “allies” and cause the proliferation of those technologies outside of their creator nations. The most direct way for a government to try to recover information about an opposing nation’s technology is to commission and support spies directly. These spies can be of the military variety, targeting information and technologies that would help the military directly; or of the “government variety” (aka CIA types). These spies are targeted at a broader range of information and technology. Practically, when targeting the technology base of an enemy, these two types of spies are going to have a similar goal and likely similar results. This can be a form of government sponsored espionage as well as a private-sector type. Sending workers to infiltrate the companies producing weapons and sneak out information about how they work and how they are created. This is definitely more of a “long game” type of espionage. Writing this type of espionage can be done in a variety of different ways. You can write in families implanted in an enemy nation generations prior, with the consistent goal of eventually gaining a position within the corporate establishment and sending back information. A more short term plan is also an option, with migrant workers moving into the target nation and eventually getting jobs in the factories and foundries. Infiltration of the supply line would be another form of espionage. If the factories and foundries have security that is too tight, workers “up-stream” can still gather information about the materials used in the assembly of weapons and their ammunition. A truly dedicated nation would employ all of these types of espionage to gather information on the weapons that their enemy lords over them. Does your “uber nation” have super-strict security? Do they screen their workers more intensely than the TSA, making corporate or traditional espionage impossible? Raids and skirmishes are a solid option for retrieving weapons. And the great thing about raids and skirmishes in a fantasy setting are that bandits and outlaws can be a viable excuse. Plausible deniability is the key when discussing ostensibly state-sponsored raids and attacks. 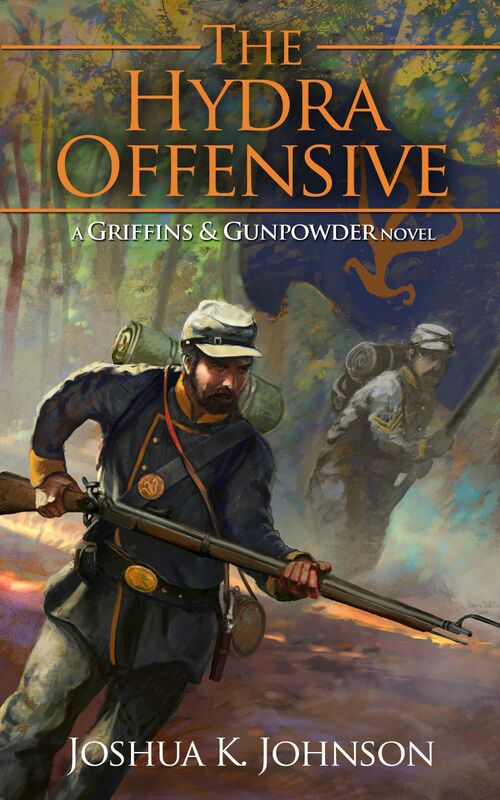 Order a small unit to attack an enemy outpost, but in non-military garb, retrieve examples of weapons and ammunition, and when the offended nation claims the attack, deny that the attackers were part of your military and still profit from their recoveries. Greed is a powerful driving factor. Overt greed is typically going to be of the third party variety. An arms manufacturer signing agreements with either Nation A or Nation B could swing the balance from one side to the other in an otherwise close war. But greed doesn’t necessarily have to be this obvious. An unscrupulous businessman could feed weapons and information to a neighboring nation, encouraging them to raid supply wagons with arms shipments onboard. This would create tension with the government but also give the second nation a look at weapons. And if it were to come to war, they would be in a direct position to profit from the war by creating more weapons for their government. So, in conclusion, when you’re worldbuilding, be sure to keep in mind that the technological advantage that one nation might hold over others, assuming all things are otherwise equal (one group is not manifestly stupider than the other), isn’t going to last for very long, especially in a war. The nation on the receiving end of the superior technology will have a very strong drive to either replicate the technology that is defeating them, or develop sufficiently effective tactics to counter that technology.